The NUE series headed to the San Bernardino mountains in sunny Southern California for the Grizzly 100k, 75k races and Grand Fondo. This was the final NUE race of the 2018 season and determined the NUE overall titles. 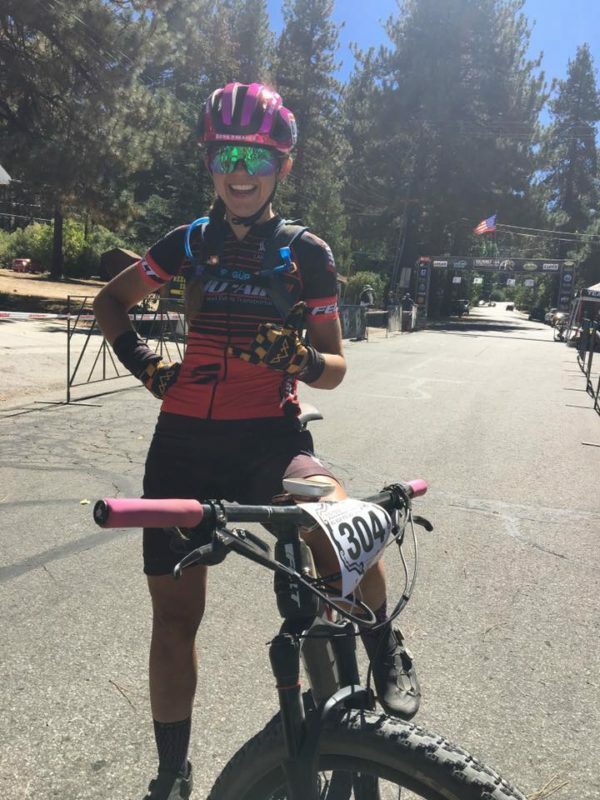 Starting around 7000 feet above sea level in Big Bear Lake, CA, racers were challenge to a high altitude course with technical singletrack, loose descents, and the all famous 5 mile Radford climb. 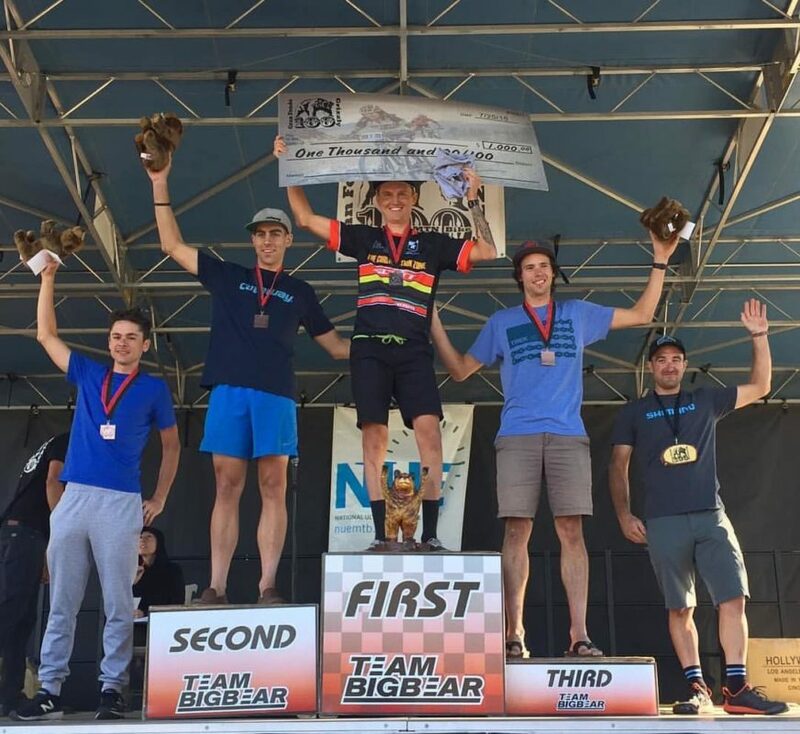 Getting his first NUE win of 2018, Kyle Trudeau, CZ Racing takes the win with a time of 4:35:32. Bryan Lewis finished about a minute behind Trudeau taking second place with a time of 4:36:59. In a battle for the overall NUE series title, it came down to this race for Lewis and Johnson. With this win, Lewis secures the 2018 NUE Epic series title and Johnson, who finished 6th at Big Bear, takes second in the overall standings. Claiming third was, Nic Beechan, Trek Test Team finishing in 4:41:25. Taking the win in the 100k was Larissa Connors, Sho-Air Cycling Group, coming in at 5:27:29. With this win she takes the overall NUE Epic series with 5 straight wins. Taking second place was Hanna Muegee crossing the line in 6:26:35. Taking the third spot on the podium was, Marjie Bemis, Socal Devo/CCMTB in 6:31:45. 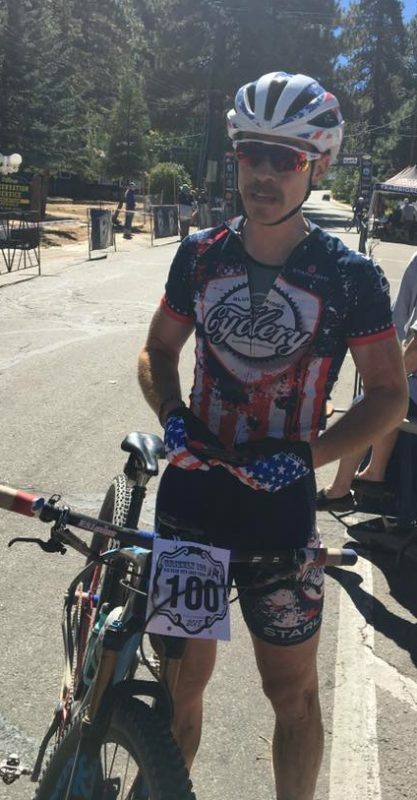 Crushing the competition and taking his 4th NUE win for 2018 was Gordon Wadsworth, Blue Ridge Cyclery/Pivot Cycles with a time of 5:00:25. 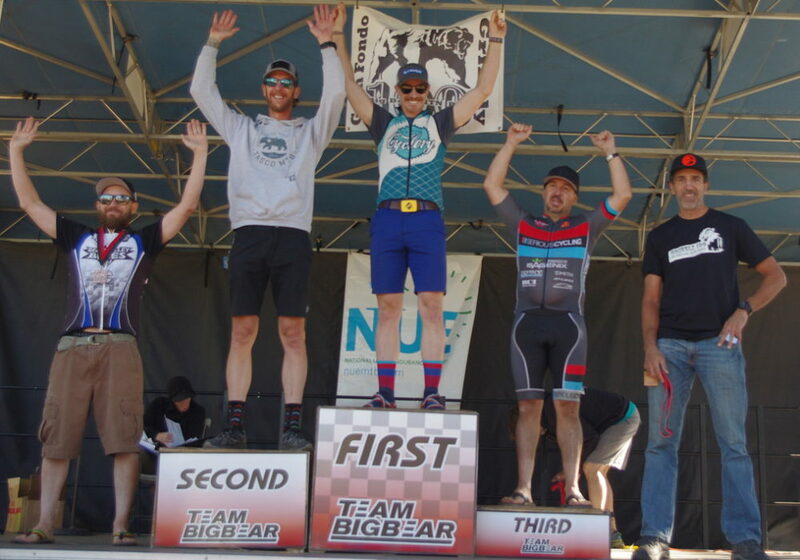 With this win Wadsworth takes the 2018 NUE Epic Singlespeed series with a perfect score of 4. About forty-eight minutes back was, Marc Engelhardt, Tasco-MTB, taking the second step at 5:48:17. Rounding out the podium claiming third place was Chad Davies at 6:16:22. Follow the Pearl Izumi/Pivot Cycles team adventures as we travel and report on cycling around the globe. 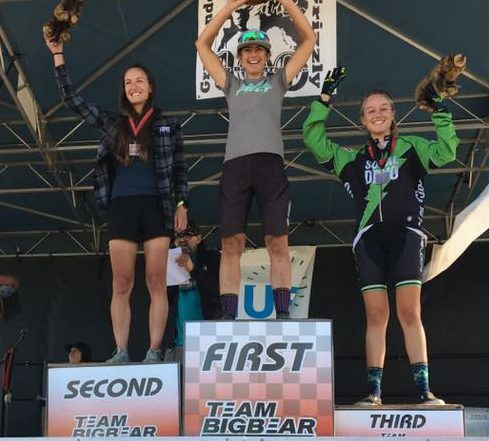 As mountain bike racing becomes more diversified it has become increasingly more difficult to excel at multiple disciplines throughout the course of a season. 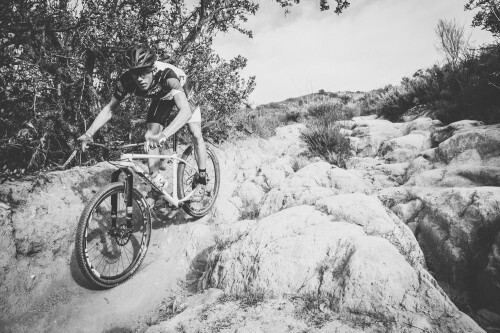 So we asked elite Carmichael Training Systems coach Andy Applegate to break down four of our favorite MTB racing disciplines – XC, Enduro, Ultra-Endurance, and Stage Racing – and give us the secrets to breaking through in each. In this 4-part series Andy starts with XC racing. Answer: The standard answer for this question as a coach is: it depends on where you are in the training season and how long you have until your goal races. These questions would be followed by a few statements like: You need to follow a periodized training plan, and work on different aspects of fitness at different times. You need to build from less specific to more specific training.. etc, etc. While this is all true, let’s strip that away for a moment and answer the question: what is the single ability to work on that will get you the best results in a cross country race? To answer this, let’s look at the physical demands of a race. We know that most xc races are between 1.5 and 2 hours long. We know that the start is extremely important and explosive. We know that you will have to make repeated anaerobic efforts with minimal recovery. We know that you will need to be able to handle obstacles and maintain speed around the entire course. Before the days of power meters, we primarily used heart rate to look at training and racing intensity. A heart rate data file from an xc race usually looks like a flat line about 5 bpm above lactate threshold heart rate. Sure, there are some undulations in heart rate throughout the race, but for the most part HR is very steady for the entire duration of the event. When we looked at these files, most coaches and athletes thought: “ok, so if this is what the race HR looks like, I should gear my training to that and do long steady efforts at or just above lactate threshold.” While this is an effective way to build general fitness, and raise power output at lactate threshold, it does not address the demands of cross country racing as specifically as we thought. Enter the power meter. 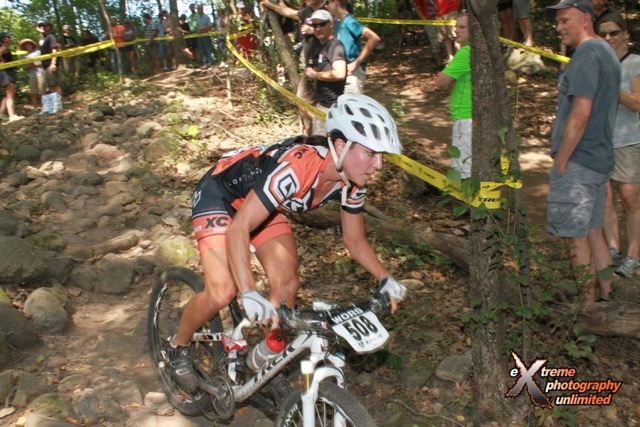 I remember the first time I saw a power file from a mountain bike race. I was blown away by the immense variability of power output throughout the event. Huge power spikes way above threshold power for very brief (seconds) to moderately long (several minute) durations with short periods of recovery. These facts let us answer the original question. Working on anaerobic, VO2max type intervals of durations between 1 minute and 3 or 4 minutes would be a prime area to focus on for xc racing. This type of interval work is quite specific to the demands of the event, training your body to be able to handle the repeated anaerobic work bouts with very little recovery between efforts. I think that covers the the “what and why”, so let’s get to the “how” part. Here are some workout ideas.Start with doing 3×3 minutes of near-all-out intervals with 3 minute recoveries between efforts. Make sure you warm up well so you can hit that first effort hard. For most intervals of this type a 1:1 work to rest ratio works well. The efforts should be done between 110-120% of threshold power or about 9 to 9.5 on a 1-10 perceived exertion scale. Heart rate is generally not a great way to gauge intensity for these efforts as it will not elevate above threshold until the interval is nearly complete. Remember, the interval starts as soon as you put the power to the pedals. Do one or two 3×3 min workouts with at least a day of easier riding between, then start adding another 3 min effort as you feel like you are able to handle the workload. Eventually build up to a total of 6 or possibly 7 intervals per workout. Remember: these are very-near-all-out efforts, so if you feel like you could do more than 6 or 7 of these, you probably are not going hard enough! Do 2 or 3 of these interval sessions per week and you will see some real improvements after a 3 week training block. I like to prescribe these workouts with one recovery day between interval days, however some coaches feel that doing 2 days in a row of efforts is worthwhile also. Try it, but if you feel like you are not able to hit the same intensity the 2nd day in a row, go back to putting an easier day between. While the 3 minute efforts are very effective, it is also good to vary the effort durations (keeping a 1:1 work to rest ratio). Try doing a session of 7×2 min (2 min recoveries) or a 3-4 x 4 min session (4 min recoveries). Another aspect to vary is how you are attacking each effort. One approach would be to nail it all out from the start and hang on as long as you can (called “peak and fade” ). Another way would be to try to hold a very steady effort throughout each interval. Both approaches are very effective at building fitness. Another thing to keep in mind is that it is not a good idea to hit these types of workouts all year. Generally doing a 3 week block of VO2max, followed by recovery, then a block of focusing on a different aspect of fitness is best. I like to put VO2max work in between blocks of threshold work and again about 8 weeks before the beginning of the important part of the race season. One last note. I mentioned that we were able to learn a lot about the demands of racing from power meters. However, while they are great tools, they are certainly not required for effective training or racing. Almost all types of workouts can be done very effectively using perceived exertion and/ or heart rate feedback. 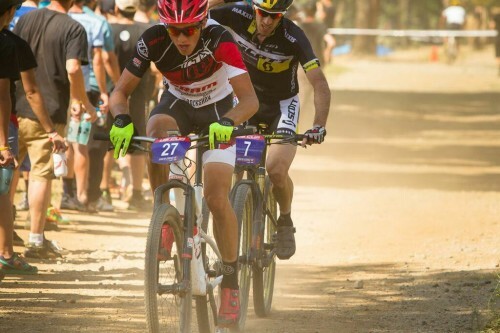 Hard anaerobic efforts like VO2max intervals are very tough and painful, but the payoff from building them into your training is huge… and very specific to the needs of the cross country MTB racer. Last weekend the Wisconsin Off Road Series(WORS) made a stop in the western part of the state for the Hixon Forest Epic. The 10th race of the WORS season took place on a beautiful day in the bluffs of LaCrosse, drawing in over 400 finishers. The course was like no other, with a lead out to a long gravel road downhill, with racers reaching top speeds. 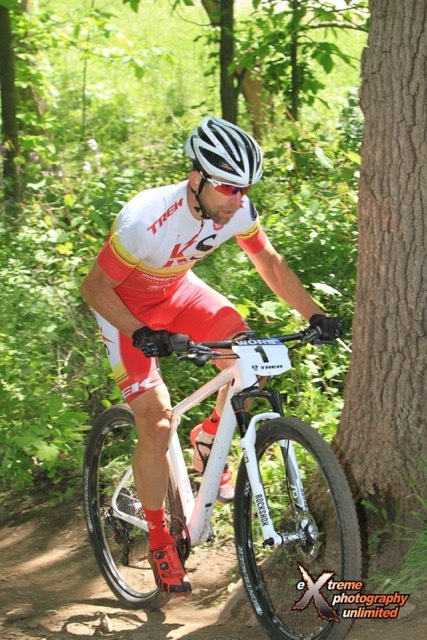 Once competitors reached the bottom of the bluff, they began the approximately 15 minute switchback climb back to the top where it was a half mile road time trial to the singletrack. Once racers reached the singletrack it was tight, fast, rocky and rooty as racers maneuvered their way through the woods. The Belgioioso Pro and Elite men’s field was stacked with many of our top riders, making it an interesting and nail-bitter type of race, all the way down to the final sprint. It started out with the field making their way down the gravel decent without any crashes. Once they got into the groove of the climb, Corey Stelljes (Motorless Motion/Cannondale) had a strategy of attacking early on the first lap, which he did causing a gap to open up early. Nathan Guerra (Vision Cycling) wasn’t going to let him go early, so he surged to catch Stelljes’s wheel. Once the two were back together, they both took another stab at attacking, Guerra in the single and Stelljes on the climb, but neither would be able to shake one another. Once they entered the singletrack on the last lap, Guerra was able to put a little gap on Stelljes but crashed which gave Stelljes an opportunity. After coming out of the singletrack it was a long, slight increase to the finish line. Stelljes was pushing the pace early, but when it came down to the line, Guerra took the win. Meanwhile, behind 1 and 2, there was a battle for the 3 remaining spots in the top 5. Brian Matter (KS / Energy Mosh), Tristan Schouten (Rolf Prima / Attitude Sports), and Cole House (Unattached) spent majority of their race riding in a pack together. No one decided to attack early, but left it for an intense finish. Cole house peeled off shortly before the line, leaving the sprint for 3 and 4 down to Schouten and Matter. Schouten came out on top by a tenth of a second with Matter finishing 4th and House respectively rounding out the top 5. In the BelGioioso Pro and Elite women’s race there was a clear favorite: Cooper Dendel (Quick Stop Bike Shop). With the long gravel downhill and the fast singletrack, it was straight up her alley. Once Don said go, Lindsay Guerra(Vision Cycling) and Dendel checked out together setting a fast pace off the start to the gravel road. 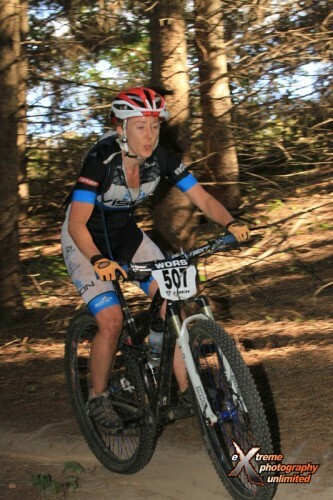 Dendel’s enduro skills set in as she was more comfortable descending down than Guerra where she lost her. After that, it was mainly a solo effort to the finish for both Dendel and Guerra occasionally grabbing an Elite men’s wheel for a pull where Dendel eventually grabbed the top spot and Guerra finishing 2nd. Behind 1 and 2, were competitors Rachael Jensen(Team Wisconsin / KS Energy / Mosh), her first elite season, Sarah Agena(Hidden Bay/Cider Boys) and Heather Stelljes(Vander Kitten) battling it out for 3, 4, and 5. Jensen rode with the two Junior Elites for a half a lap until she slipped off, racing at her own pace, trying to stay in front of Stelljes. Stelljes was on the hunt but would not catch Jensen who secured 3rd place about 30 seconds ahead of Stelljes who finished 4th. Behind them finished Agena with a respective 5th place finish. Fans and competitors of the Wisconsin Off Road Series (WORS) gathered once again in Lake Geneva, WI for the 2015 Treadfest race. A staple on the WORS calendar, Treadfest offers racers a rare opportunity to ride some of the best private trails the area has to offer. Hidden deep within the grounds of the Grand Geneva Resort, the course takes advantage of the summertime availability of a downhill ski area. This means riders are sent climbing up through a sea of screaming fans from the start of the race. The course is surrounded by a beautiful golf course for spectators to appreciate, while competitors are more focused on navigating through its rocky and root filled terrain. The Cat 1/Pro men’s race, sponsored by Belgioioso Cheese, brought some of the fastest guys in the midwest out on a hot and humid Sunday. This type of course is usually preferred by known climbers like Nathan Guerra (Vision Cycling) and Cole House (Broken Spoke), but the weather did not make it easy for either racer. There was a sprint preme provided by Loft and Shove (http://www.loftandshove.com) MTB gear for the first racer over the wooden flyover bridge. The prologue lap skipped this feature, so racers needed to shoot for the sprint coming into the 2nd lap. Guerra and House were both fighting for position to grab this purse, with House coming out on top. Once they passed the bridge, both riders allowed former WORS overall winners Tristan Schouten (Rolf Prima/Attitude Sports) and Brian Matter (KS Energy/MOSH) to pass and take a turn at pulling the group along. They were already in position before entering the fans’ next favorite vantage point, the rock garden. For Treadfest, this means a descending path of loose river rocks starting at the top of the ski hill and followed by a luge-style staircase riddled with drops. Needless to say, it is a demanding course that takes a lot of focus to control. One of the most challenging aspects for the riders was staying hydrated. It was 95 degrees and extremely humid causing riders to perspire much more than usual, very few sections being ideal for grabbing a bottle. Shortly behind the 4 lead men was Ben Senkerik (Team Extreme) who was racing mostly alone but trying to catch the leaders. At the start of the final lap, House was leading until he ran into some trouble after a bad water handup and ended up going over the edge of a downhill stretch of single track. His great bike handling skills kept him upright as he rode through the grass, but he did give up two positions to Matter and Schouten. Those spots were later reclaimed before the end of the race giving House the Win just 7 seconds over Matter. Schouten finished 3rd with Guerra following in 4th and Senkerik in 5th. The women’s race was dominated by the ladies of the Vision Cycling team grabbing all 3 of the top spots with Leia Schneeberger in the lead. Schneeberger started her racing career at this very event only a few years back. 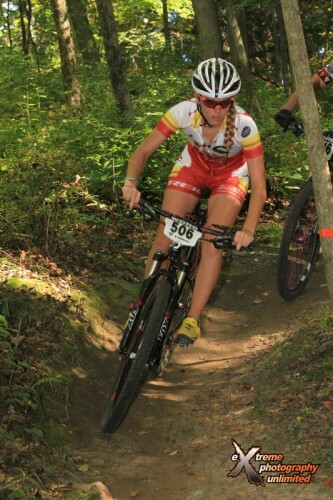 She worked her way up and is showing the other women that she has no fear in a tough and rocky course like Lake Geneva. Following her was her teammate Lindsay Guerra, wife of Nathan Guerra who is the founder of Vision Cycling. Guerra was one of many who ran into a bit of trouble navigating the rounded stones in the rock garden. As she recounted, she was being followed by another rider who was coming up too fast behind her in the rocks which caused her to ride above her comfort speed in the descent. This lead to an unfortunate trip over the bars for her. 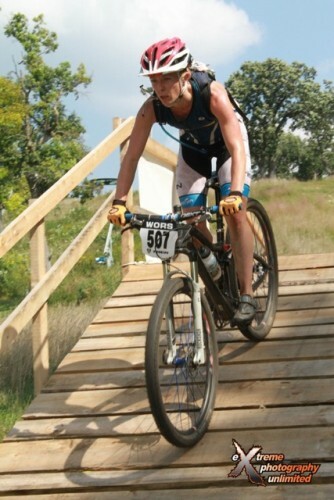 She got and rode it off with slightly crooked bars for the remainder of the race. But because she did not stop to fix them, she did give up any time to her other teammate, Jeanne Hornak. Hornak says she does well in hot races and proved it in this event. Although, climbing isn’t her primary strength, Hornak handled the conditions better than most to grab one of her best finishes to date. The Trek sponsored Wisconsin Off Road Series (WORS) returned from a two week break with back to back race weekends. Last week, in Waukesha Wisconsin, Leia Schneeberger (Vision Cycling) dominated the course for the Women’s race while Cole House (Unnattached) tried to chase down Nathan Guerra (Vision Cycling) but fell short with second. This week House came back for the win while Schneeberger and Cooper Dendel(Quick Stop Bike Shop) rode the course together wire to wire. 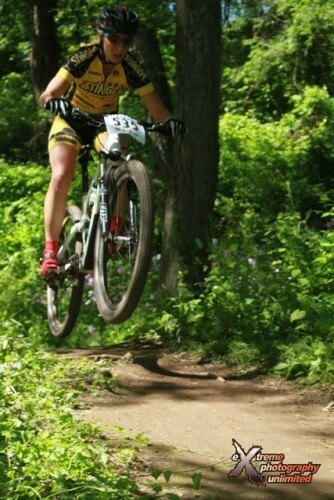 Just outside of Green Bay, the “Reforestation Ramble” in Suamico has traditionally been a prep race for riders competing in the Chequamegon 40. With similar terrain and a longer distance than most WORS races, it gives competitors a chance to test out their endurance at high speeds. More double track and flatter than most WORS events, the Reforestation Ramble offers longer laps in a marathon format of racing that pushed athletes to their limits. 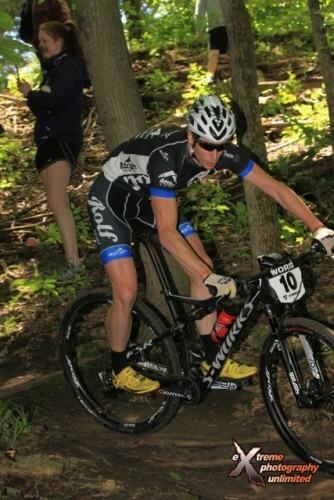 Pro mountain biker, Cole House (Unattached) came back aggressive after last weeks loss. On House’s home course, he pushed hard for an early lead after the first section of singletrack. The chase came from current WORS overall points leader, Nathan Guerra (Vision Cycling) and Ben Senkerik (Team Extreme) who worked together to try to reel in House. Shortly after the two pros caught House, Senkerik suffered a mechanical which dropped him off the lead group. Soon caught by Joe Maloney, Pete Karinen and Justin Piontek, the four rode together to once again reel in the leaders. Maloney stuck on the lead pack’s wheel while Karinen, Piontek and Senkerik dropped back. The main battle was in front between competitors Guerra and House. Both said that it was apparent they weren’t going to work together and the race wasn’t as fast as they could have made it, often sitting up in the double track. 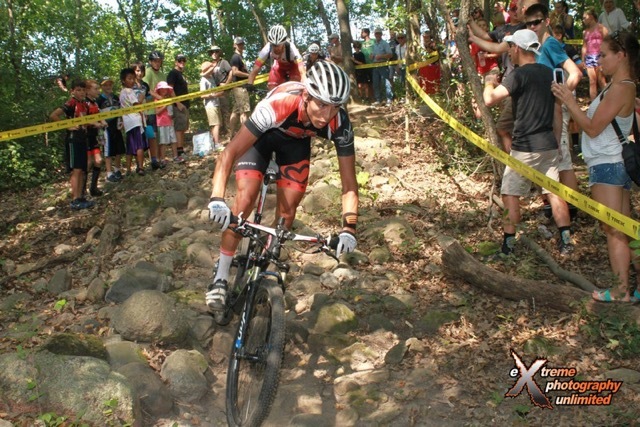 But after 3 laps of going back and forth, Guerra had the lead going into the last section of singletrack. By House’s surprise, Guerra didn’t attack after they got to the ski trail which gave House the opportunity to take the lead. House took the win with Guerra 6 seconds back. 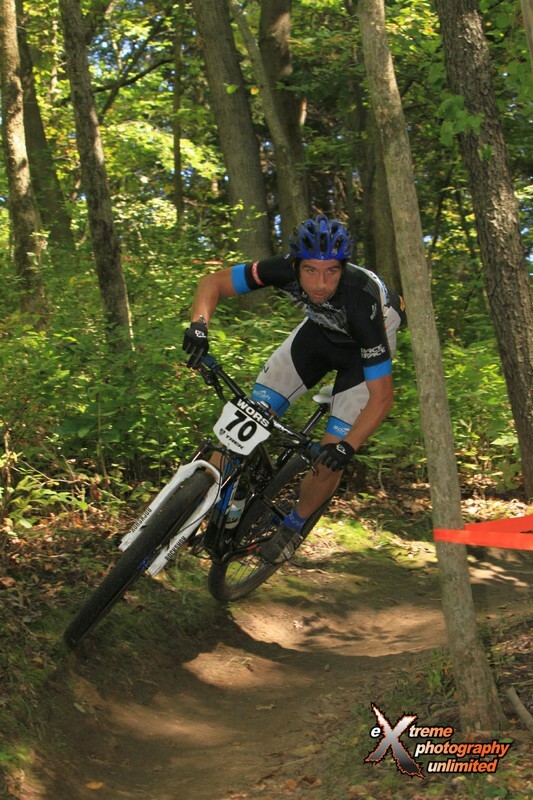 Maloney finished third and after a crash and mechanical, Senkerik took the fourth step. Shortly behind fourth, finished Karinen after dropping Piontek who finished a respective sixth. 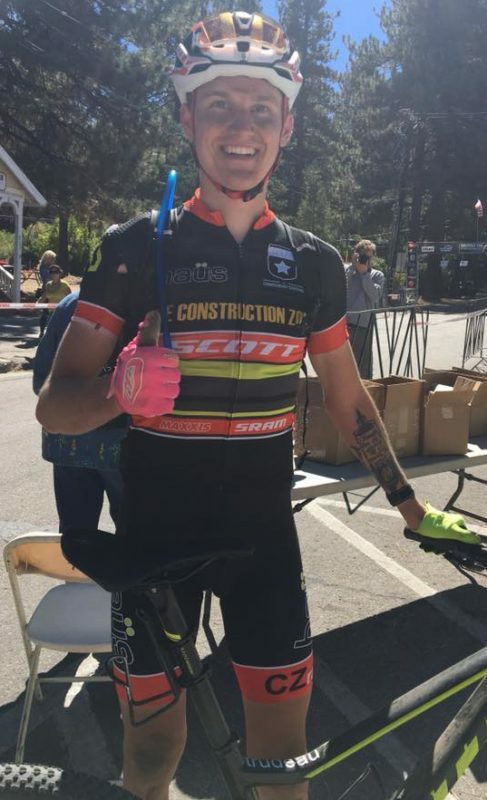 Last years overall winner, Cooper Dendel (Quick Stop Bike Shop) has proven herself many times over this season but so has Leia Schneeberger(Vision Cycling), our current series leader. The two ladies had an electric battle riding together the entire race. Behind the lead competitors were Lindsay Guerra (Vision Cycling) who rode almost entirely a solo race and Sarah Agena (Hidden Bay/Cider Boys) and Rachel Jensen (Team Wisconsin/KS Energy/Mosh) who worked together with an elite junior throughout the race. Dendel and Schneeberger rode close to 36 miles working together, but Schneeberger admitted Dendel was doing most of the work. Despite pulling for much of the day, Dendel still had enough left in the tank to edge Schneeberger at the line. Although riding alone for much of the day, Guerra managed to pull off an impressive third. Agena finished fourth after shedding Jensen on the second lap who rounded out the top 5. WORS will continue on September 6th with the 10th race of the series, Treadfest held in Lake Geneva WI. For more information visithttp://wors.org/schedule/treadfest/. In the third event for the 2015 Wisconsin Off Road Series (WORS) presented by Trek, Cooper Dendel (Quick Stop Bike Shop) grabbed her third win of the season while Brian Matter (KS Energy/ MOSH) earned his first WORS victory of the year. Located at Camrock Park in Rockdale WI, the course is a favorite among WORS racers who love punchy climbs and rocky descents. The start is a dash to the top, climbing for a half mile through the vendor area followed by lots of fast fun. Between sections of technical switchbacks, the course offers fast flowing single-track that runs through open fields of prairie grass. Plus, the infamous sprint to the finish which played a huge role for some racers this weekend. In the BelGioioso Cat 1/Pro Women’s event, Cooper Dendel (Quick Stop Bike Shop) proved once again that in 2015 she means business. Grabbing her third win, Dendel is on a hot streak. To her own admission, she loves the technical switchbacks that the Battle of Camrock has to offer. But it was not an easy win either. 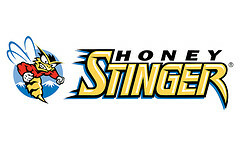 Dendel was followed closely by Abigail Strigel (Honey Stinger / Bontrager). 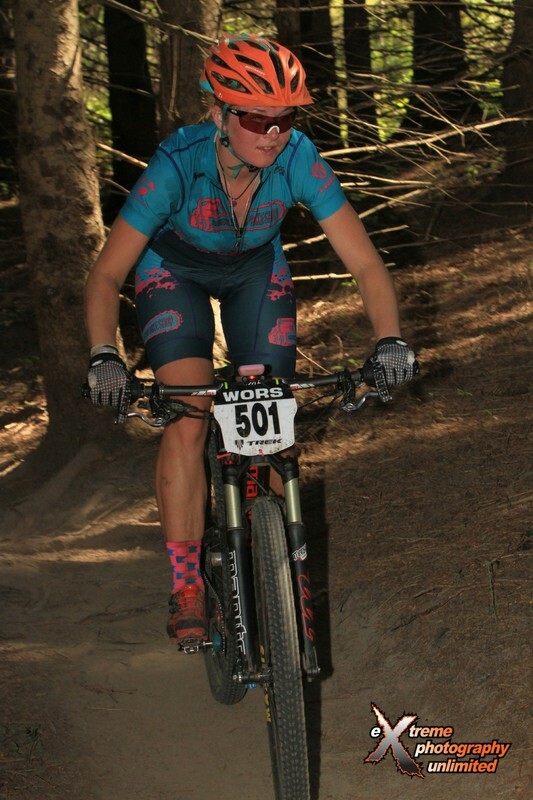 Strigel made her 2015 WORS debut with a second place overall. Strigel was very excited to return back to WORS and had a goal of trying to stay with Dendel. This didn’t quite happen at this race, but Strigel wasn’t too far behind. At the start of the race, Lindsay Guerra (Vision Cycling) attacked the first hill and blew a lot of steam. But even after her hard push and her recovery time, she finished with a respectable 3rd place. Behind Guerra, finished Anna Ganju (Colectivo Coffee) in 4th place. The BelGioioso Men’s Cat 1/Pro race showed the reigning WORS overall champion, Brian Matter (KS Energy/ MOSH), climbing to his first victory of the year. The pressure was on the entire 4 laps as different competitors fed off of each other to keep the pace high. After the first lap there was a lead pack of four: Tristan Schouten (Rolf Prima/ Attitude Sports) who led Corey Stelljes (Motorless Motion/ Cannondale), Matter, and Nathan Guerra (Vision Cycling). At the start of the second lap, Guerra took over and put a 25 second gap on the chase group. But with his lead came a price. The ever changing course did not leave many opportunities for water and he was not able to stay properly hydrated. Due to the lack of fluids and Matter being close behind, the final lap would prove to be his most challenging. Matter was able to close the gap and sit on Guerra’s wheel while waiting for the last climb. The two sprinted to the finish which gave spectators the thrill they expect from a WORS event. The wheel to wheel action had fans excited and cheering for their favorite racer to win. Even though Guerra trailed closely behind Matter in the last single track climb, Matter had the edge for the uphill sprint. As the two competitors battled it out, Guerra wasn’t able to get around Matter as he pulled off the sprint by 0.6 seconds. Matter won the Battle of Camrock, but Guerra still leads the overall points competition. Behind Matter and Guerra finished Stelljes with a 3rd place. An honorable mention also goes to Issac Neff (5nines/ Motorless Motion Bicycles) and Tristan Schouten, who grabbed 4th and 5th respectively. 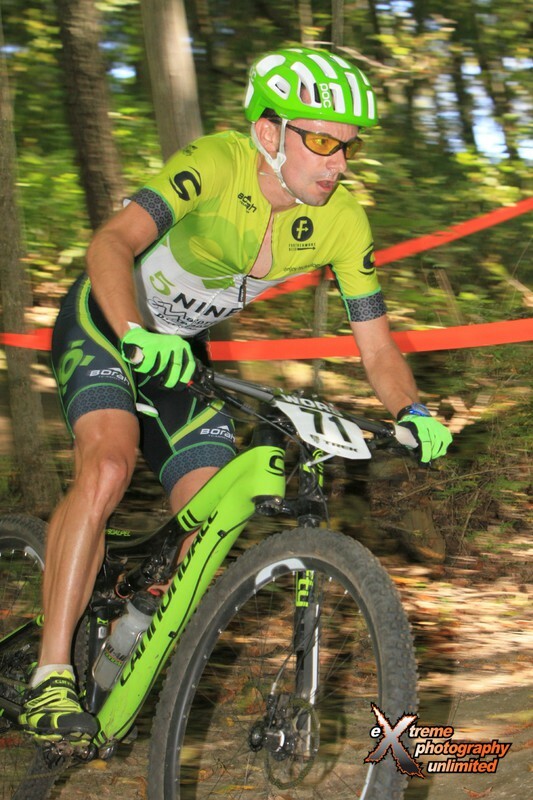 Though he’s still a one of the younger pro’s on the national XC circuit, Russell Finsterwald has been a major presence on the American mountain bike scene for nearly a decade now. First as a junior rider, then as a top U23 racer for Subaru-Trek, and now as a pro for the SRAM/Troy Lee Designs Factory Team, Finsterwald has been on too many podiums to count and shows no signs of letting up. He was kind enough to take a few minutes recently to check in with MTBRaceNews.com about his goals for the season, his recent switch to the SRAM/Troy Lee Designs team, and his experience coming up through the ranks the last several years. MTBRacenews.com: You have a pretty unique gig as the lone XC representative on the SRAM/Troy Lee Designs program, can you tell us how that came about. Russell Finsterwald: I’ve had a close relationship with the guys at SRAM for years being that they are also based in Colorado Springs. As a junior, I would help work in the race shop after school to earn a little extra cash. They were a big help in getting me a contract on the former Subaru – Gary Fisher Mountain Bike Team. Last year, Troy Lee Designs decided to partner up and form a new team with SRAM and the opportunity to be apart of the new program was an easy decision for me. MTBRacenews.com: How has the switch been going from a big factory team, Trek, to what is essentially a solo program at SRAM/Troy Lee Designs? Is it tough not having teammates at races or has that not been much of a factor for you? 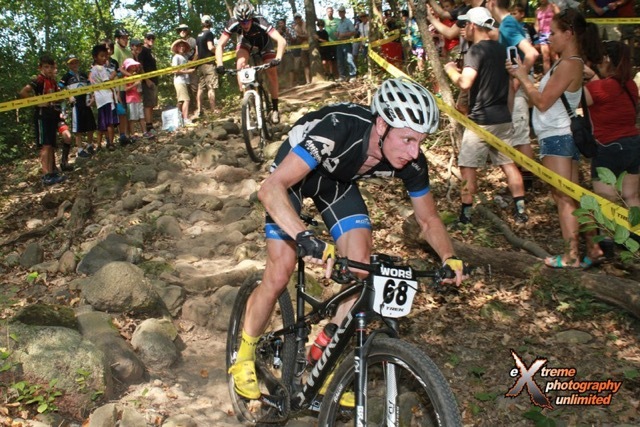 Russell Finsterwald: While racing on the Trek team I had a lot of great teammates whom I was able to learn a lot from. Had I not had those 4 years of picking up little pieces of information from guys like Sam and JHK, things may be a little different now. During those years I learned the ins and outs of traveling and racing, so I think I have a good system together now while on the road. The team provides excellent support while traveling which is a big help. I have a lot of good friends on the circuit who I ride with at the races, so I’m never really feeling the need for another XC teammate. MTBRacenews.com: What are your big goals this season? Russell Finsterwald: Each and every year I want to bring my racing to another level. I think I’ve gotten consistently faster every year since turning pro so I just want to keep that momentum rolling. That being said, the World Cups and Nationals are my ultimate goals this season. I showed myself at Worlds I can have good World Cups if everything comes together so that was a good confidence booster. I’m looking to top 30 the first round of World Cups and hopefully find the top step of the podium at Nationals. MTBRacenews.com: What’s it like working so closely with Sram? Are you helping with product development? Have you been able to make any custom tweaks to your bike set up? Russell Finsterwald: It’s been an awesome experience working with SRAM at a closer level than I have in the past. I was able to race on the new Rise 60 wheels for almost a full season before they were launched and did quite a bit of testing with them. Same with the RS-1. They truly provide me with the best equipment as soon as they can. I’m a part of the Field Test team which has been allowing to test all sorts of different products. MTBRacenews.com: It’s still a little early, but talk of the Olympics is already starting. Is going to Rio a big goal for you? Is it something you’re focusing on already? Russell Finsterwald: Rio is for sure a goal, but it is also a goal that I know I am going to have to make a big leap in order to achieve. I had a great January in Tucson but spent a good amount of February with a couple different sicknesses. I’ve had a better than expected first part of the season all things considered, so I am excited to see how the second half shapes up after getting some more consistent miles in over the next few weeks. I just want to keep climbing the ranks, get some solid results, and we will see where that takes me. MTBRacenews.com: Awesome to see your teammate, Luca Shaw, taking 11th at the opening round of the Downhill World Cup. Have you had a chance to ride with Luca and (his brother) Walker much? Have they taught you any sneaky DH skills? Russell Finsterwald: I was pretty excited to see Luca do that well in his first elite World Cup. The Shaw brother’s both have an incredible work ethic which is what you need to be at the top of World Cup field. At team camp, they were telling me about the different intervals and training they have been doing this winter. They are both really dedicated athletes so I’m excited to see how their careers develop over the next couple of years. I haven’t really been able to ride with them and pick up any skills yet but maybe I can drag them out for some World Cup pre rides and get some sneaky fast lines from them. 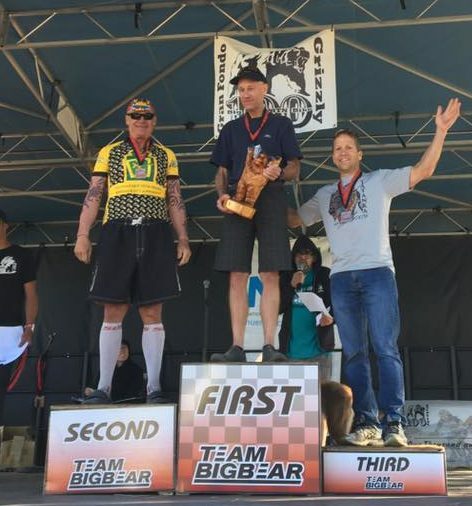 MTBRacenews.com: Thinking back a few years, was there a specific race after you made the jump from juniors to the pro field that made you think, ok, I can race and compete with these guys? Or was that a gradual process? Russell Finsterwald: I was fortunate enough to have an excellent team with support straight out of the junior field which gave me confidence in the sense that other people believed in me. There is always this pressure you feel, that may not even exist, to prove you deserve the support you are getting so that lights a fire in you. I didn’t have immediate success right out of the junior field but I put together some good races and beat most the U23’s guys at the races, so I thought I was in an ok spot. MTBRacenews.com: What’s your favorite part of bike racing? What motivates you to keep at it and put in the work in training day in and day out? Russell Finsterwald: I love racing because it’s where you get to see all your hard work come together. I enjoy the training side of racing quite a bit at times. I love pushing myself and the feeling of coming home after a hard days work. I guess you could say I’m addicted to releasing endorphins. Ha! Sitting in airplanes aside, another part I thoroughly enjoy is the travel. Mountain biking takes you to some pretty phenomenal places that I would have never seen unless I was traveling for a race. I counted the other day and I have been to 6 continents and 21 countries. MTBRacenews.com: On the flip side, what, for you, is the most challenging aspect of being a professional racer? Russell Finsterwald: When you aren’t getting the results you want it is a really tough sport. I’ve had some pretty crappy days on the bikes and you just have no idea what went wrong. I’m learning that there is a large mental side to the sport so learning how to react to different thoughts that go though your head leading into a race has helped a lot. The first two rounds of the World Cup last year were horrible for me. I had good training going into them, but I was mentally weak and I think that factored into my lackluster results over there. I have a few new tricks I’ve picked up since then, so I’m excited to go over there and see what I can do this year. MTBRacenews.com: What are your favorite things to do when you’re not riding your bike? Russell Finsterwald: I love just about anything outdoors that gives you a sense of adventure or adrenaline rush. I keep it pretty structured during race season, but as soon as Worlds is over I will be riding my dirt bike all over the Colorado mountains, bagging peaks and trying to capture some of Colorado’s beauty on my camera. I’m already itching to get in some short and sweet camping trips with some “recovery” hikes in once the snow melts.